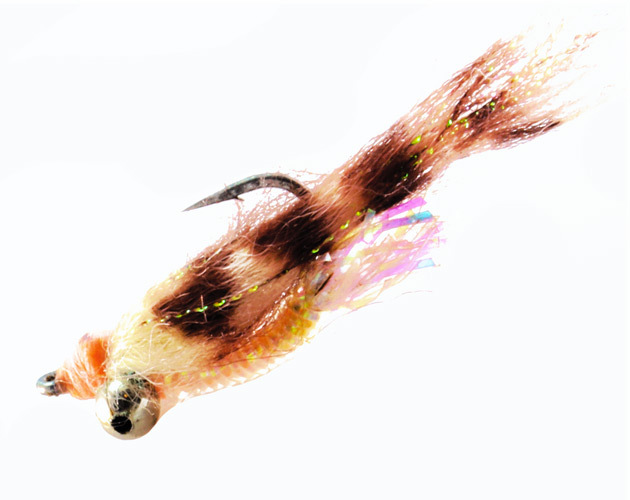 This is a popular bonefish and permit pattern created by Craig Matthews. and began commercial fishing at the age of 14. He has been a guide in the Turneffe Atoll since 1987. This fly is a very useful one and productive for both bonefish and permit. It is a “can’t miss” fly and should be in your arsenal when traveling to the Caribbean.